Hi loves! I’m very excited about this post as it is a makeup collaboration with the lovely NannaSofie over at NannaSofieMakeup . She’s a super talented artist and her makeup looks are always on point. Since both of us love wearing bold and bright makeup; we decided to share two ways to rock a bright lipstick. One way to wear a bright pink lipstick is to do a simple neutral eye look with a shimmery eyeshadow, eyeliner and some very natural lashes. 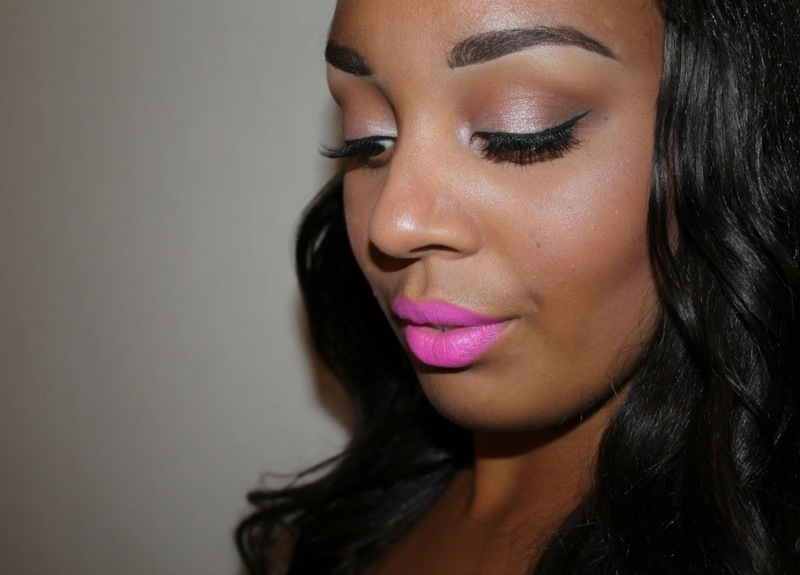 This look is suitable for those who just want a natural look with nice pop of colour on the lips. The second look is a bold navy smokey eye with a pair of dramatic lashes. 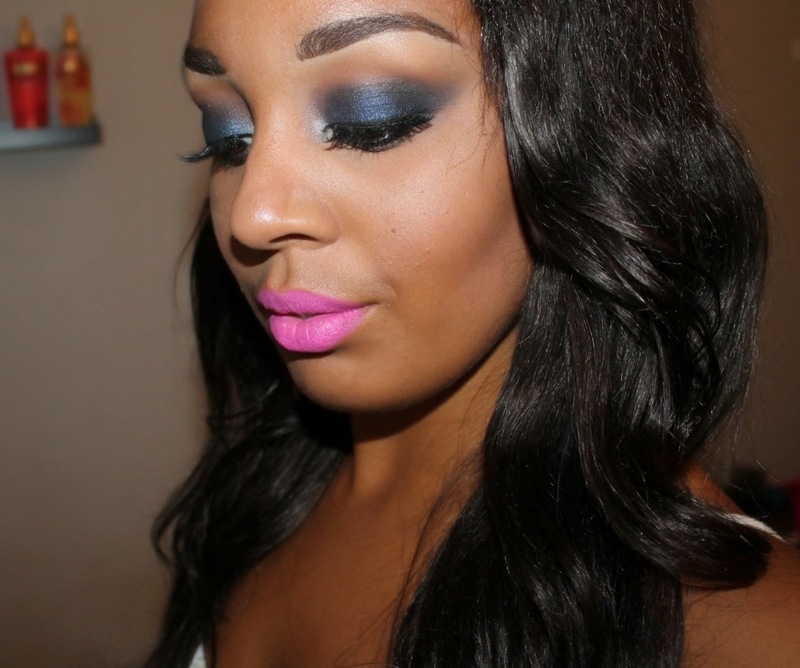 This look is obviously more dramatic and is for all the divas who loves to wear bold makeup. 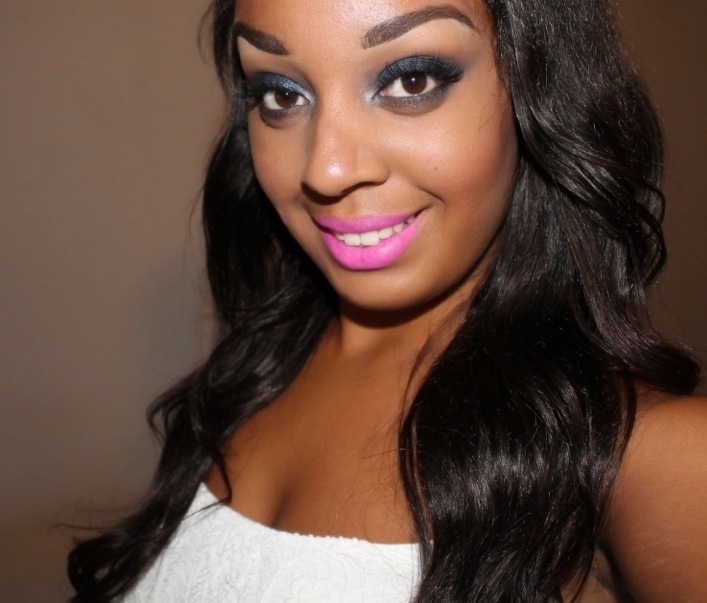 Don’t forget to check out NannaSofie’s blog to see her looks. I really like the first look. What color and brand are on your lids in the first set?